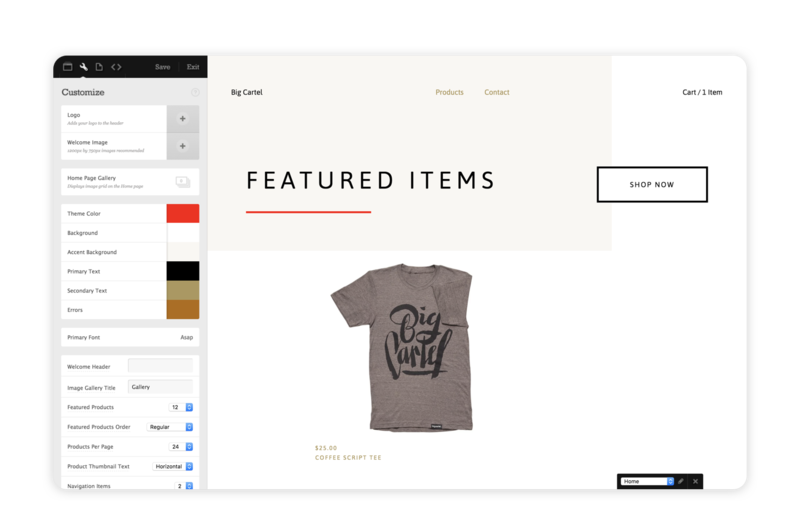 Ready to make your store unique by personalizing your theme? It’s easy to upload a header, logo, or background image, add a slideshow, adjust color and font settings, and make other adjustments to your theme layout - no coding required. In the Customize design area of your admin, each built-in theme has its own available set of customization options. The best way to get familiar is to play around and watch the preview window update with your changes. 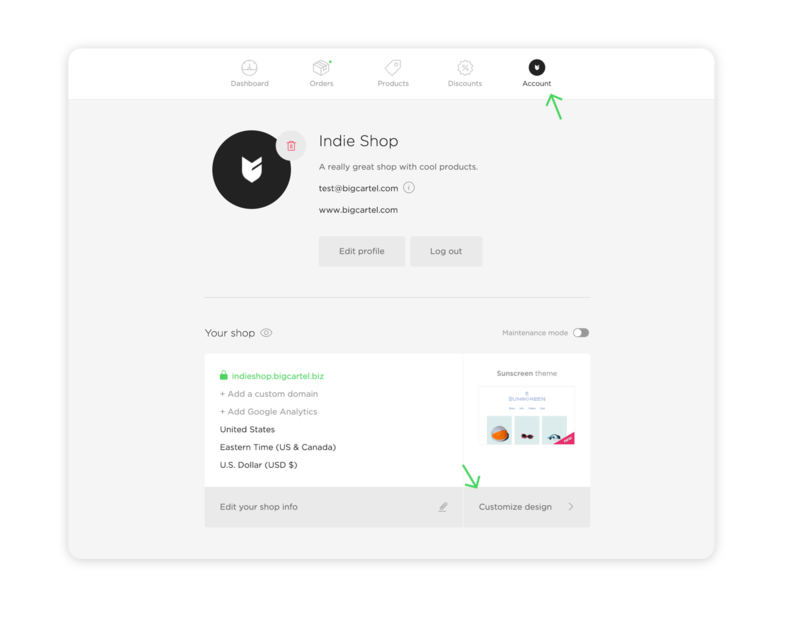 Try changing the number of featured products, adding a slideshow, or adjusting the fonts to see how it makes your store feel. If you’re making changes and don’t like how things look, exit the design area without saving. Edits you make behind the scenes won’t show in your live store until you hit Save. Head to the Account area in your admin. Click on any element in the left pane to make changes - upload theme images, tweak colors and fonts, and adjust your layout settings. When you’re ready to commit, click Save. To undo changes, click Exit without saving.